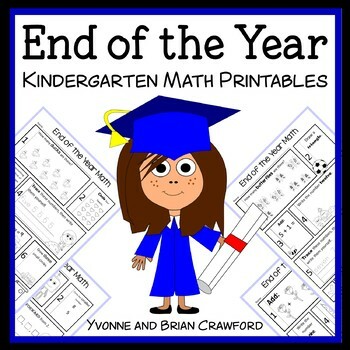 End of the Year No Prep Common Core Math is a packet of ten different math worksheets featuring an end of the year theme. You can use one worksheet per day as a warm up to your daily classroom lesson. This packet is designed to meet the level of a kindergarten student who is familiar with the Common Core standards for kindergarten. 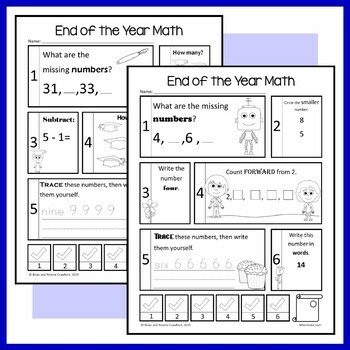 The worksheets in this packet serve as no prep Common Core-aligned classroom activities for your students and can be used as morning work, as exit slips, as homework sheets, as a review, as activity worksheets for a sub, or as an assignment for early finishers. 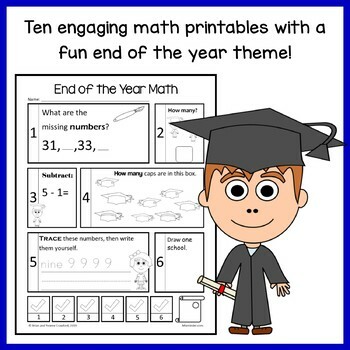 Check out Quick Common Core Math Bundle - The Complete Set (Kindergarten) which includes this booklet and 11 others and comes with a discount. 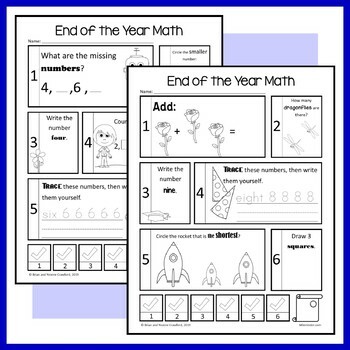 Looking for Spring Quick Common Core (kindergarten)? Click here. Looking for Literacy Spring Quick Common Core for kindergarten? Click here. All graphics are original and created by myself.